On Saturday (1/7) and Sunday (1/8), from 10:00 AM to 3:00 PM, residents can bring live Christmas trees to the wastewater treatment plant, to be chipped and hauled. Please ensure trees are cleared of all decorations, lights, and garland; trees with any metal or plastic will not be accepted. 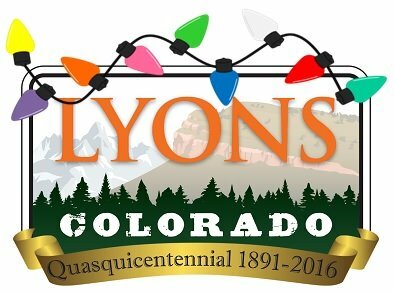 Please note this is a special agreement with Boulder County for Christmas trees only; branches, limbs, and other wood waste will not be accepted at this time. Visit westerndisposal.com for more information on wood waste disposal. 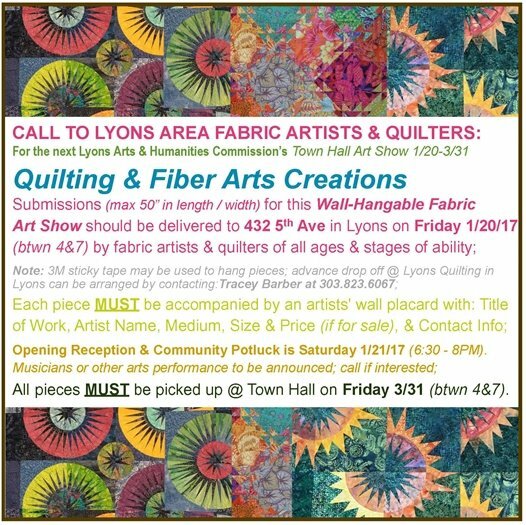 Call to Lyons Area Fabric Artists and Quilters! Seasonal slash pile burning will begin Thurs., Jan. 5, at Hall Ranch, weather permitting. Smoke and flames may be visible throughout the day and into the evening. The Boulder County Fire Management Program will be conducting pile burning operations on Parks & Open Space properties throughout the winter. Over 400 piles have been constructed on the Walker Ranch and Hall Ranch properties. All operations are weather dependent. There will be no property or trail closures due to this forest management activity.